What a keen eye you have! Thanks! Amazing what you notice when watching the icy ground so as to avoid falling on your keister! Keen eye and unusual ability to imagine images. Oops that's a double word thing...oh well. Love it. Imagined images - i like it! 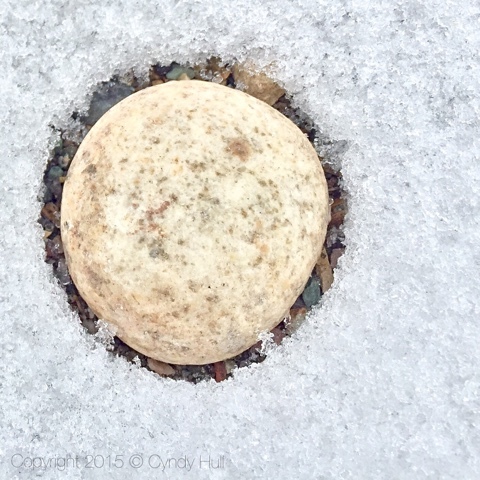 A very compelling composition - it appears the warm round rock - absorbed enough heat from the sun to melt the snow in a perfect circle where it lay displayed on multi-colored pebbles. How serendipitous.